Since the general revamp of Messy Wands, I've been thinking of ways to spice up my nail polish posts. I've tried the regular swatch and snap, but my pictures just didn't look as good as those from dedicated nail blogs, and that just makes me want to scrap the whole operation. Hand modeling turned out to be such a difficult and awkward job (as opposed to plain staring into the camera). There is just no feasible way to place your hands around your face with your fingernails facing front and still look "natural." That said, it was fun to play around, even if the outtakes looked ridiculous. The polish I used was Dior Vernis Poison #996, part of the Les Violets Hypnotiques collection that debuted earlier this year. The color is a deep eggplant with creme finish. Formula was smooth and I applied two coats to ensure an opaque, even finish. Oxblood may be the color du jour this fall, but one should never underestimate the power of a good rich purple. 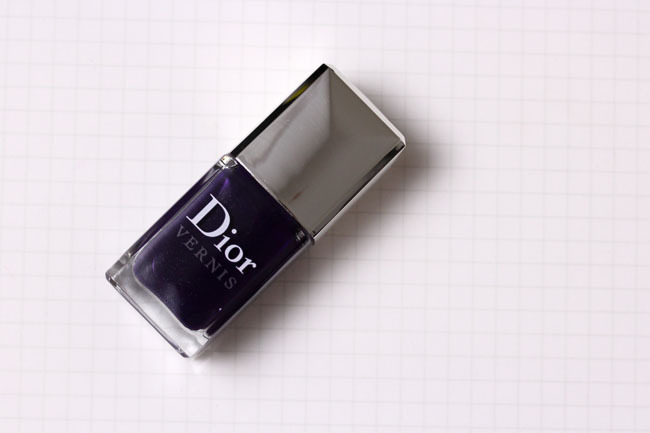 Dior Vernis Poison ($23) is probably sold out at most locations, but remains available for purchase at dior.com. Your hand modeling is perfect! As is your makeup - would you mind post a breakdown of everything you're wearing (eyes, lips, cheeks)? Thanks! Thank you, Estelle! I will be posting the look breakdown in the next few posts (they may end up as separate reviews). Yes, please tell us what is on your lips! I've got to say, you look great in these pictures! I wasn't sure how I felt about your haircut (you had such gorgeous long hair! ), but your whole look this time, from the hair, to the makeup, to the nails, really suits you! Very glamorous and chic! HOLY, that third photo! CAN I PUT MAKEUP ON YOUR FACE?!? I agree with Dani, the third pic down is divine--It seriously looks like an ad for the polish (well, and everything else you're wearing)...and the glow on your face is absolutely perfect! Thank you for the kind words, Isla! New haircut is crazy!!!! So cool!!! I LOVED this selection. Gorgeous, rich, pretty shades I could wear all the time. 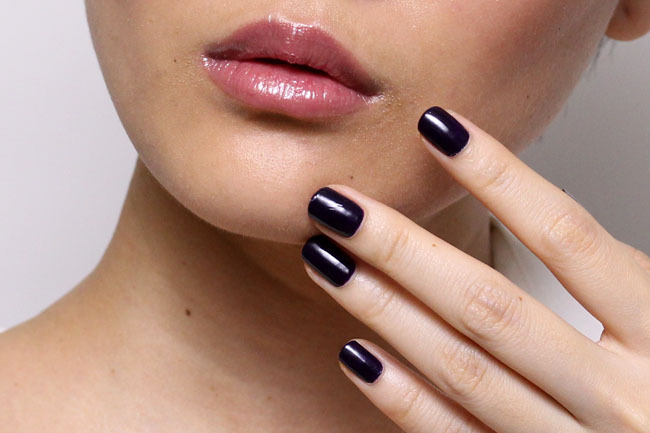 I just love dark red or purple nails! As an aside, I would have commented on your photos, but unfortunately for some reason all of your images are appearing broken to me! Most likely a problem on my end, so, boo. Ahh! I just refreshed the page and saw your gorgeous pictures! I LOVE all these shades on you! That third face shot is perfect. To die for. You really do look like a professional model. Poison is gorgeous on you and I'm loving this gorgeous, snazzy, slightly androgynous look on you! i have poison and absolutely love it. perfect for this crisp weather. dark nail polishes are definitely my favorite.